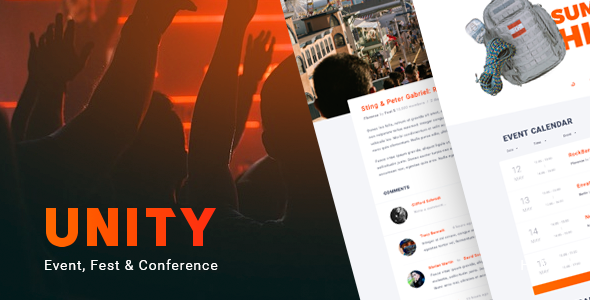 UNITY is modern HTML template for any event, conference, meet ups, summit, camp etc. Promote your next conference or event with a clear and confident event landing page, also includes ready blog pages. This easy customizable theme lets you quickly start a great event website. UNITY offers the complete package for managing talks, speakers, venues, tickets, sponsors and everything else necessary to run a seccessful event. Important! Photos are not included in the download.